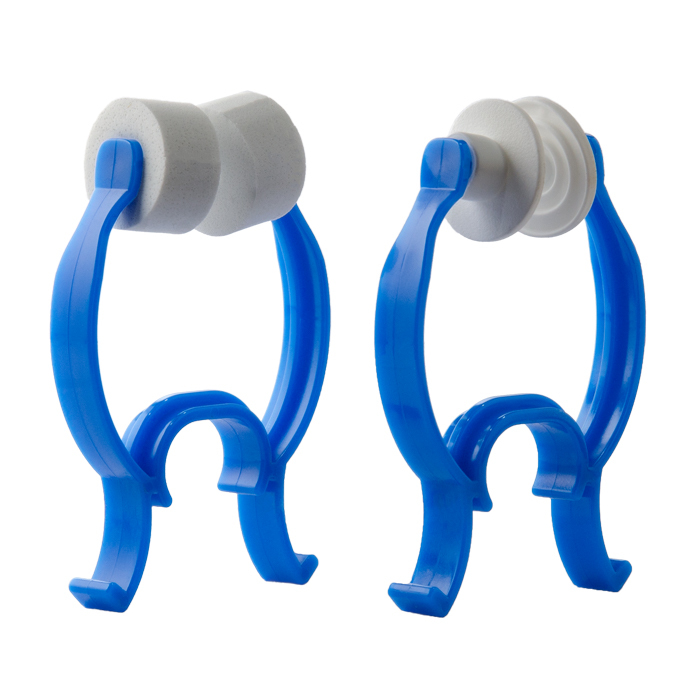 Designed for a variety of stimulation protocols, including behavioral feedback, LTP/LTD, lesion making, electrode marking, ultrafast timing applications, orthodromic/antidromic stimulation, and kindling. The Model 2100 Isolated Pulse Stimulator is ideal for a wide variety of physiological stimulation protocols, including, but not limited to: behavioral feedback, LTP/LTD, lesion making, electrode marking, ultrafast timing applications, orthodromic/antidromic stimulation, and kindling. With a built-in stimulus isolator circuit, there is no need for an external SIU to convert voltage pulses into constant current pulses. The Model 2100 is can operated continuously (free-running mode), be manually triggered, or be externally triggered via a TTL pulse from a computer or a footswitch. Status and error lights indicate functionality. Easy-to-set leverwheel switches determine durations and intervals. No need for expensive external SIU as output is optically isolated! 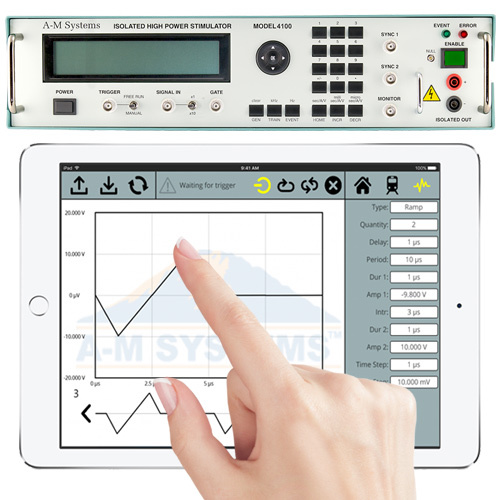 The Model 2100 Isolated Pulse Stimulator is A-M Systems best-selling instrument, and can serve as a workhorse stimulator in your laboratory. Contact us to test-drive a free Model 2100 in your own rig. No purchase required. interpulse period (the duration of a single pulse on/off cycle). If the period is set to be shorter than the pulse duration, a timing overlap error LED indicator warns the user of this condition. For ease of use, the delay may be set to "none," so that no extra delay occurs between trigger and pulse output. The burst width may be set to "single," so that only a single pulse is output for a single triggering event. This has the additional effect of suppressing the post-pulse delay associated with the inter-pulse period, thus allowing the stimulator to become immediately retriggerable, instead of waiting until the end of the period. The pulse duration may be set to "square", automatically setting the duration to one half of the period. The times are easily and rapidly set with leverwheel switches, which are much more convenient than thumbwheel switches. The timing accuracy is dependent only on a 10 MHz internal crystal clock which has an absolute accuracy of better than 0.02% and timer-start jitter of ±250 ns (±2.5 µs in the 100 second range). The full-scale amplitude accuracy is 1%, with a voltage-mode output impedance of less than 60 Ohms, and a current-mode output impedance of at least 1 MegOhms. The output pulses may be monophasic (selectable polarity) or biphasic, in which a positive pulse is immediately followed by a negative pulse. The baseline amplitude is independently adjustable up to ±10% of the pulse amplitude range. 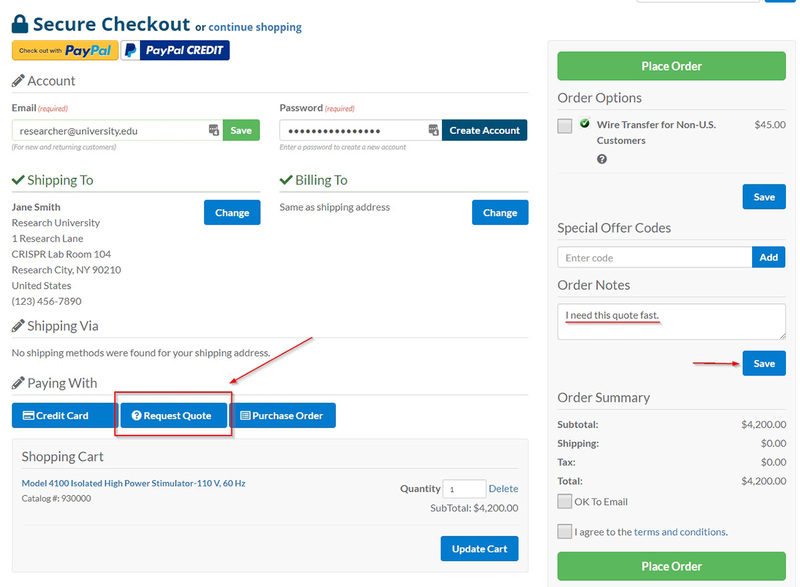 Add your desired products to cart, and choose "Request Quote" as your payment option at checkout. We will generate a formal quote and email it to you usually in less than 24 hours. If you have additional requirements, please add them to the Order Notes and click save (as shown in the image). A-M Systems instruments are not approved for use with human subjects in either a clinical or research environment.